Not sure which Zenit this one is but it seems to be a 3M which is missing the "3M" part of the engraving, just like the one on Roland and Caroline's website (see the link below). It does look very 1950s and the design is probably from the late 1950s, a very special camera design. Most parts come from other cameras, well, not really but the design. 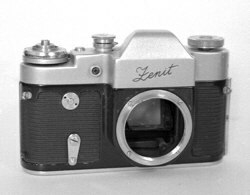 The shutter is a Zorki shutter, which in itself is a copy of the Leica cloth shutter. You might think you've seen the shutter speed selector dial before, well, it's the same on most Russian cameras of that era, the FED has it, the Zorki... Be carefull about the shutter cocking - speed selection issue. See my FED page for the tips how not to break your shutter. Unfortunately the mirror in my camera seems to be stuck in the down position. Maybe a simple repair or I just don't know how to use it but most other things seem to work fine, even though someone apparently tried to repair it but failed; all the visible screws are a little loose. Pressing the shutter makes you aware that this is an old fashioned, well built Russian camera, there is a loud and slow "clunk" when the cloth shutter opens and closes. Very cool indeed. At one time, the ownder of my cameras was Anders Miklos, who engraved his name. As with all cloth shutters be carefull not to point the lens towards the sun for too long as it might burn a hole in the cloth, or at least make the rubber deteriorate faster. Always use a lens cap. The mirror only returns after winding the film. You cannot see anything through the view finder after taking a pictures before you have wound the film. When you open the camera back to put the film in, make sure to close the back properly. The catch doesn't snap in automatically but needs a little help. The film speed and -type settings on the rewind wheel don't do anything other than remind you on the film type you have put in. So no need to set it from a camera viewpoint. The wheel at the view finder does not do anything in itself, maybe you can take it off and replace it by a chimney finder for macro shots?  Features : Standard flash socket but no accessory shoe. Use an external flash bracket instead. 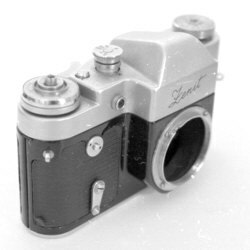 A very large Russian Camera collection with many links and a wealth of information. An interesting collection and the also have a Zenit 3M with missing engraving, just like mine.